With permission, I am sharing the first of a multi-part blog post series by Vicki Raleigh. She does not know this, but I began following the Raleigh family’s adoption journey as soon as I found them on the Internet, in 2009. Their family was one of the first God connected me to through my constant search to learn more about deaf adoption. In May 2009, I first saw her face. She couldn’t possibly be our daughter; she didn’t “fit” any of the criteria we’d committed to on our Medical Needs Checklist and there was no way my husband would agree to adopting her. True, we’d agreed that caring for a child with cleft lip/palate was something we were capable of, but he’d been clear the added diagnosis of deafness was something too far out of his comfort zone. Still, her image stayed with me and, on what seemed to be a whim, I found myself inquiring about the little girl with eyes that told a thousand stories. Fast forward to October of that same year and there we were, meeting our profoundly deaf daughter in Zhengzhou, China. I was in love with her instantly; she was funny, inquisitive, obviously bright, and above all, she gave me the gift of motherhood. On the flip side, we saw signs of much greater deficits than we’d expected. Our daughter, while quick to explore her surroundings, was far removed from any sort of real engagement with others. She was withdrawn, detached, and made no eye contact. Acronyms and words such as ADHD and institutional autism were discussed. We felt in over our heads; we were terrified. Nevertheless, she was our daughter and we were committed to do everything in our power to enable her to form relationships, to learn, and to thrive. Prior to meeting Ava, we’d made plans to communicate with her via sign language. We were unsure of the degree of hearing loss but knew that she had no formal language system in place. From day one, we signed to her and began teaching her signs as well. She was a quick study and would humor us by signing a request, when prompted, but in those first days it was obvious she had no understanding that sign language was a tool that would allow her wants and needs to be met. I’ve heard it said that you have to find a child’s “currency”; we discovered Ava’s on October 31, 2009. In a hallway of the The White Swan, trick-or-treating with other adoptive families, Ava discovered that if she signed “candy”, a little candy-coated bit of chocolate would be dropped into her hand. It was her “light bulb” moment; over and over, as fast as her little hands could move, she requested candies and popped them into her mouth! For the first time, I had real hope that we could reach this little girl who seemed so removed from the world. Once home, as we continued to foster communication with sign language, we began the process of cochlear implantation (CI). At 5 years old, and with absolutely no hearing, CI would likely not enable Ava to acquire verbal language as her only mode of communication. Our hope was that it would give her more environmental awareness and perhaps afford her some speech capabilities that would be further supported by sign language. It was not to be. Ava was implanted in February 2011 and subsequent to a cerebrospinal fluid leak and bacterial meningitis, the implant was removed in April of that same year. A second implant was deemed too great a risk; CI was no longer an option. So there we were, grieving the loss of all we’d hoped for, uncertain of what the future would hold for our daughter, and wondering if we’d totally “missed God” in this endeavor. Everything we’d done had been done in obedience to Him and out of love for our daughter; now it seemed He was telling us “No, this is not for her, not for your family.” We were disoriented, angry, and wounded. We were battle-weary warriors, ready to surrender. Then one morning, while still in the hospital recovering from the latest surgery, God spoke to me. He reminded me that while these were troubling days, we would, in the future, recount how He brought forth beauty from ashes. He works all things for our good and this would be no exception. I’ll be very honest. When that CI was removed, it felt as though the ground beneath us had shaken, split, and was swallowing us as we tumbled, aimlessly, down into a chasm. As we’d gone through the process to acquire a cochlear implant, our vision of Ava’s future had become centered around her having some level of hearing, with some possible speech skills. Everything we’d begun to envision for her was hinged on her having a cochlear implant and now it felt as if all was being snatched away from her. We were imagining a life for Ava based on our perspectives as hearing people; we had to accept that such a viewpoint wasn’t fair to our daughter. Her life would be no less meaningful or purpose-filled without a cochlear implant. Supporting our daughter meant we needed a change in perspective – one that included American Sign Language. Personally, as a speech-language pathologist, I had now entered territory that was beyond my scope of knowledge. I had a good grasp of general sign language but no real understanding of American Sign Language, which is a true language, vastly different from English. ASL was something we’d thought we’d dive into if, and when, the time came. That thought process now seems very naïve; however, in addition to attempting to form attachment and give our daughter vocabulary and basic communication skills, we’d been busy addressing other medical needs related to her cleft lip/palate, as well as various other developmental delays so often present in children who have been institutionalized. Signing with Ava was paramount but learning ASL had taken a back seat. Once again, we found ourselves stepping out in faith and saying “yes” to the unknown as we endeavored to learn a new language. Our sole ambition in doing so was to be able to truly connect and communicate with our daughter. Five years later, God’s word to me has come to fruition. 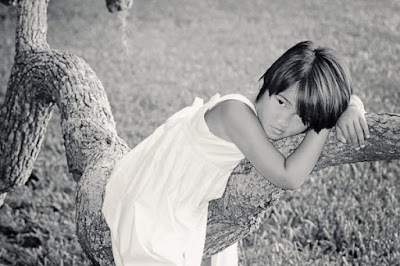 Ava is an amazing 11 year old who is happy, healthy, and thriving. She’s become one of the most securely attached children I know and she is fully engaged in life and relationships. She loves to create, whether it’s painting/drawing, constructing, or making jewelry. She also enjoys swimming and horseback riding. Science, particularly life science, fascinates her; she has an insatiable curiosity for spiders and insects, a love for any and all marine life, and thoroughly enjoys gardening. Ava has made tremendous strides in all facets of development. The delays and behaviors we witnessed in those early days have either disappeared or become almost nonexistent. We give credit to our miracle-working God for the transformation that has occurred in our precious girl. Signing, specifically, learning ASL, has been key to her development, education, and attachment. ASL opened doors that had been locked for so many years and Ava continues to walk through doors to new possibilities. Our adoption journey to Ava, walking through some very dark days, and eventually learning ASL has opened doors for us, as parents, too. We have since adopted three more children from China. Our youngest daughter has moderate-severe hearing loss in one ear and our middle daughter is, like Ava, profoundly deaf. 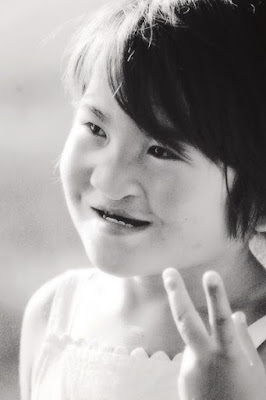 She receives some benefit from hearing aids but ASL is her sole form of communication. I know that, had we not experienced life with Ava, we’d have found it very difficult to agree to adopt the children we now call ours. I hate to think how we could have missed out on our greatest blessings! We’ve become a bilingual family – something we never imagined in our journey to become parents. Our deaf children offer a unique perspective on the world and it is one which fascinates me. I never imagined that first yes – stepping out of our comfort zone to adopt a profoundly deaf child – would lead to the family we have now. I am so very grateful that it did. I am ever-reminded that even when God says “no”, He will honor our “yes”. « Signs for Hope ASL-Immersion Family Retreat 2016!